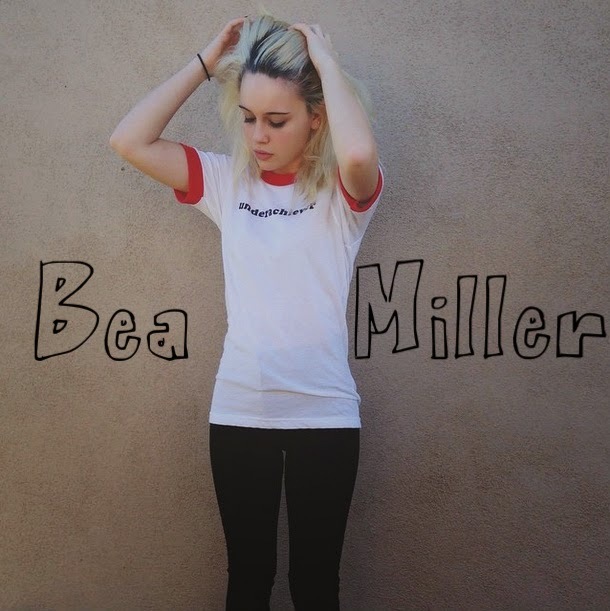 I discovered Bea through her youtube page at the beginning of 2014. If you live in America, you may know her through The X Factor USA, where she came ninth. Or you may know her if you saw Demi Lovato on her North American tour last year. Honestly, I'm not entirely sure how she hasn't blown up already. She's only 15 but her voice is incredibly unique and there's a lot of energy in her songs. For Fans Of: Echosmith, R5 & 5 Seconds Of Summer. I literally listened to Milk Teeth for all of 30 seconds and I was hooked. These Bristol-lers (Bristol-lers?? Is that a word?!) have created a blend of swirling, sweet vocals mixed with Cobain-style guitars, therefore, forming a grunge fuelled scuzz-punk vibe. I am completely in love. Already, they have toured with the likes of Moose Blood, Jaws and Balance and Composure. Milk Teeth's EP Sad Sack is released end of this month, then 2015 will see them tour a ton more. These guys have a bright future ahead of them and I'm so excited to watch it unfold. Personal Favourites: "Vitamins", "Grease", "Forty Six", "Swear Jar" and "Linda"
For Fans Of: Nirvana, Pixies, Title Fight, Seahaven, Hole. 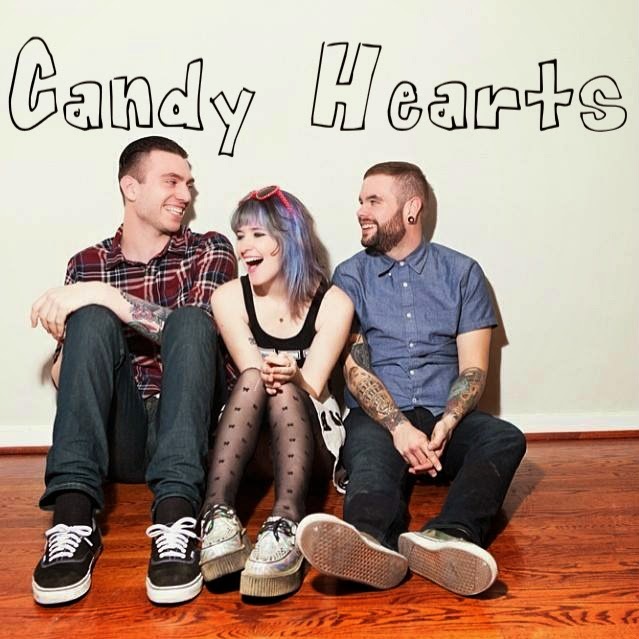 I saw Candy hearts about two months ago on the Pop Punks Not Dead Tour and I was intrigued to hear more from them. New Found Glory has raved about these guys, as has Hayley from Paramore -and there's no way those greats can be wrong. Mariel Loveland's words are ridiculously relatable and the music is so unbelievably catchy there's no way you won't find yourself dancing and singing along. One listen to their album and you'll feel a massive rush of infectious joy and smiles. They have a kind of retro pop-punk vibe to their sound, almost as if they should have been on 90's soundtrack, but that's kind of refreshing with todays music. Personal Favourites: "I Miss You", "All The Ways You Let Me Down", "Tongue Tied"
I hope you all enjoyed my little "Ones to watch" for this year! I hope you all have a great 2015! 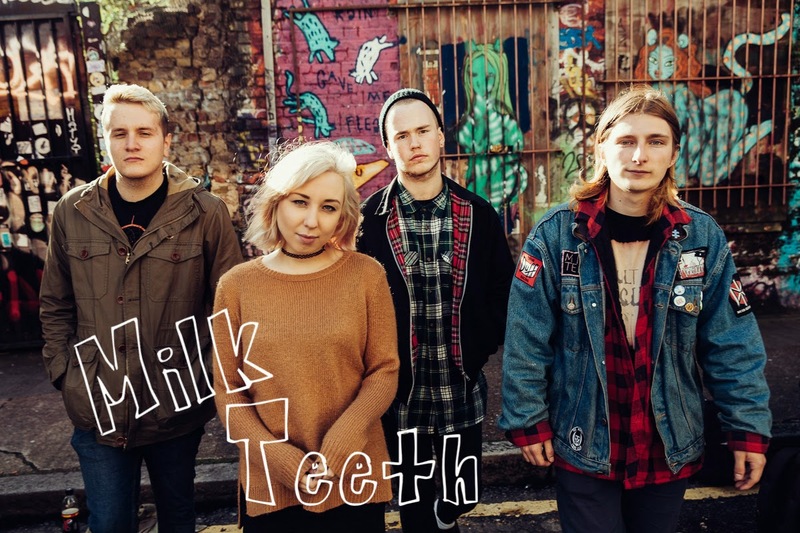 Listening to: Milk Teeth- Swear Jar.